<Is collaboration in fashion the new black? 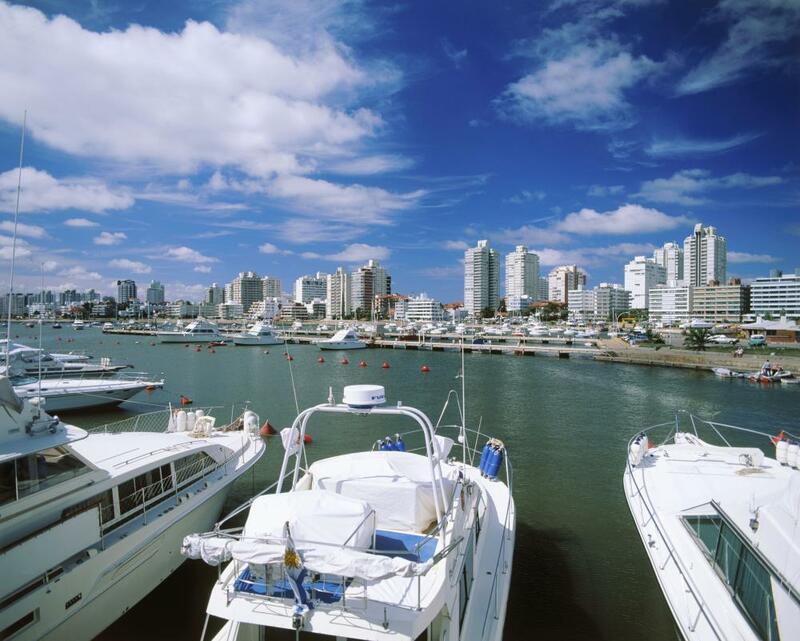 Punta del Este: is Uruguay’s uber-rich ‘gated city’ a glimpse of our urban future? A sun-tanned cocktail waitress drops a sprig of mint into a mojito in the members-only bar at the Punta del Este racetrack. It is the second ePrix of the season (think Formula 1 with battery engines; more high-pitched squeal than guttural ‘vroom’) and this exclusive Uruguayan beach-side city is playing host. Banners for Julius Baer, a Swiss private bank, flap in the wind. Lycra-clad models hand out hors d’oeuvres. And the world is good. At least, it is for the rich of Punta del Este. Ever since wealthy Argentine and Uruguayan holidaymakers discovered this sun-drenched peninsula in the early 20th century, the city has enjoyed a reputation as a playground for the elite. Today, multimillion dollar yachts crowd bow to stern in the marina. Skyscraper apartments stretch into the cloudless azure skies. Cruise liners bob on the horizon. Punta del Este ticks that box. Located on Uruguay’s southern coast, the city reeks of cash and cool. Celebrities flock here, and in their wake come the bankers and politicos, the impresarios and power-brokers. The “St Tropez of South America” is how the real estate agents like to brand it. The quantity of top-dollar houses has persuaded the property arms of Christie’s and Sotheby’s to set up local offices in recent years. Monthly holiday rents can easily run into five figures during high season (US dollars that is, not local pesos), which lasts a matter of weeks over December and January. 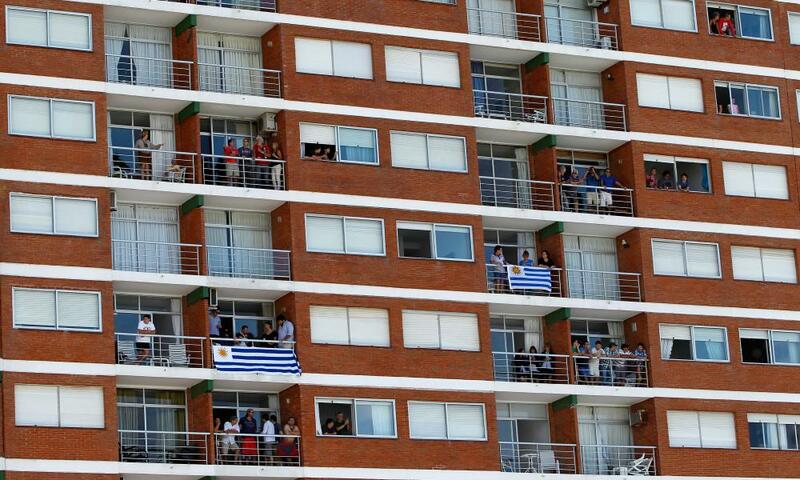 South America isn’t immune to gilded ghettos, of course. Over recent decades, gated communities have begun cropping up on the fringes of every major city. Their entrances guarded, their driveways patrolled, their residents tucked up safely in spacious homes with identikit pools and perfect lawns. Imagine that model spreading city-wide, though, and you have something akin to Punta del Este. This moneyed metropolis has no gun-toting security at the entrance, but there might as well be. Astronomic rents and zero public housing effectively keep the haves and have-nots apart. Even the middle-classes don’t get a look in. Think Monaco moved to Mali and you get the idea: a city so geographically incongruous (Uruguay ranks 82nd in the world in terms of GDP per capita, two places above Gabon), and so socially homogeneous, that it feels like a fairyland. But is this dystopian “paradise” really so preposterous? Or has Punta just preempted the path on which other global cities are set? Look at London; what is central London if not an enclave of the uber-rich already? Council tenants are being shifted to the suburbs, meanwhile, squeezed out by a social housing system in rapid retreat. Close on their heels are young professionals, fed up with seeing half their salaries sunk into shoebox rentals. New York, Berlin, Zurich, they’re all on the same trajectory: cities arguably “too successful for [their] own good,” as the writer and urban ethnographer Suketu Mehta puts it. Punta del Este is too successful for Maria, that’s for sure. Armed with a bin bag and a sweeping brush, the 20-year-old from Salto, a rural backwater in the north-west of Uruguay, is paid 80 Uruguayan pesos (£1.80) an hour to clean up after the ePrix’s VIP guests. “What can we do in Punta del Este? We can sit on the beach, but we can’t afford to buy anything. We can’t even afford to get the bus home,” she says. The city’s elite residents, whose numbers swell fivefold during the summer (up from about 10,000 year-round), require an army of Marias to make their luxury lifestyles viable. Cleaners, cooks, waiters, gardeners, nannies, valet parking attendants, lifeguards, security personnel; virtually none of them live in Punta del Este proper. Instead, they trek in every morning by bus or motorbike from periphery settlements, a cavalcade of under-paid workers dedicated to keeping this urban anomaly afloat. Sandra and Yino, both in their thirties, live in a shanty on the edge of Maldonado, a feeder town just outside Punta del Este. From the makeshift porch of their three-room wooden shack, they can see the penthouse apartments curve along the bay. Sandra works as a contract maid, Yino as a painter-decorator. Both make the daily commute into the city, scrabbling around to get their three children ready for school before heading out to work until late evening. At around 35,000 pesos (£790) per month, their combined earnings are above average for Uruguay. The national minimum wage stands at around 10,000 pesos (£260). Yet the concentration of so much wealth in one place means prices for basics such as food, clothing and medicines are close to, if not higher, than London. Tranquility is a highly prized commodity in Punta del Este and the satellite towns that spread along the coast – La Barra, Manantiales, Jose Ignacio – but it’s rationed for the city’s working neighbourhoods. For safety reasons, Sandra and Yino don’t let their children go to the cornershop alone. Part of their shanty town, known as Silsa, is currently being repossessed by the government. If they are lucky, the municipal authorities will provide social housing for them. The other options are to receive official titles for the land they are occupying (which most of the shanty-dwellers naturally prefer) or to be thrown on to the street. “The rich couldn’t live without us … the poor,” says Ingrid Schmutz, a 44-year-old resident of El Placer, a long-standing shanty town (referred to as an asentamiento in Uruguay; literally, “seating place”) near La Barra, on the outskirts of Punta del Este. She is one of the unlucky ones, recently evicted from another nearby slum to make way for a high-end new development. Now El Placer is also under threat, reportedly earmarked for a nightclub complex. Originally from Montevideo, Schmutz is one of many who have make their way to Punta del Este in search of work. A fluent German speaker, she trained as a teacher, but currently does odd-jobs. “Bloke’s work,” as she calls it. For decades, construction has been a staple for the city’s migrant workers, but economic woes in Argentina and Brazil – the two major backers of Punta’s real estate boom – have resulted in fewer cranes occupying the city’s skyline in recent years. Some of Punta’s poor have left, searching for work elsewhere. Others have hung on, either picking up low-paid or seasonal work, or relying on state hand-outs (so-called “social emergency plans”). 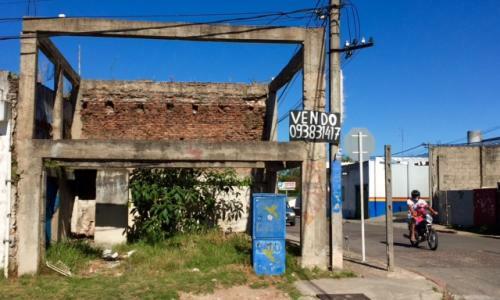 Although Uruguay’s provision of health, education and other public services ranks well among its South American peers, the amenities in the city’s peripheries are dismal when compared to the private sports clubs, schools and hospitals downtown. An end to Punta’s cherished status as a protected citadel on the sand could be in sight, however. Among the glad-handing ePrix spectators was Eduardo Costantini, a suave real estate millionaire from Argentina. Aged 69 and still an avid kite-surfer, Costantini has been coming to Punta del Este for almost half-a-century. Throughout that time, discussions were under way about building a bridge to connect Punta del Este and its coastal satellites to the neighbouring (and distinctly less chichi) province of Rocha. 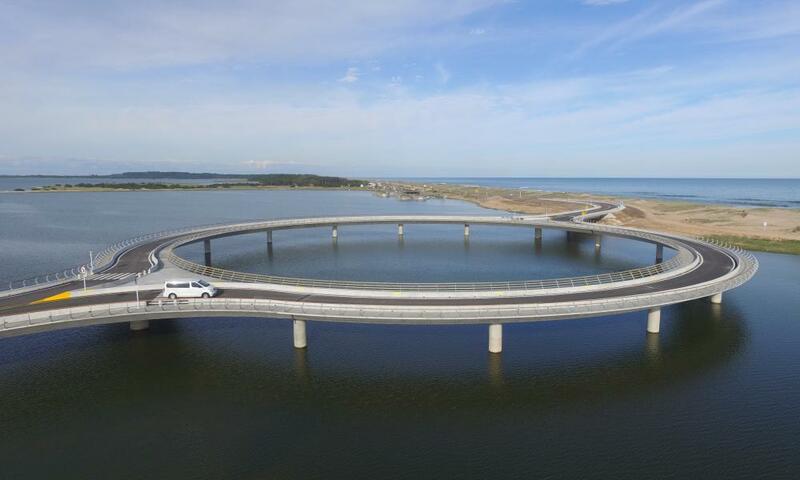 Now, in the shape of a graceful circular overpass spanning a brackish coastal lake, Costantini has delivered. The $11m project, designed by the Uruguayan architect Rafael Viñoly (the man behind London’s Walkie Talkie building, and now Battersea Power Station’s redevelopment), should see Rocha’s residents get a slice of the Punta del Este action. So argues José Mujica, the country’s ex-president: “This will give impetus to new real-estate development and an important injection of investment, and will generate lots of secondary employment for low-income people in the area,” he claims. That may prove correct. Costantini has plans to develop 480 exclusive residences on a stretch of virgin beach on the far side of the lake. Yet any notion that Rocha’s poor might gain a permanent foothold there is illusory. Priced at up to $355 per sq metre (the plots, which average 2,500m2, come without a house attached), Punta’s rich-ghetto model looks set to repeat itself. The nearest neighbour to Costantini’s Las Garzas development, Julio Silva Mansi, a 66-year-old cattle rancher, says he’s had an offer of over $2m for his 25 hectare farm. He plans on selling up. In nearby José Ignacio, the hippest and most exclusive beach community on the Punta del Este coast, the bridge is causing consternation. Before, the town’s signature lighthouse was essentially the end of the road. If motorists wanted to come and go from Rocha, they had to cross the lake by a wooden raft. Now they can come and go as they please. Again, the area’s have-nots take a different view. “For our basic purchases, we rely on a truck coming from town three times a week,” says Delfi Olivera, the 64-year-old wife of a fisherman, who lives in a wooden two-room house on the Rocha side of the new bridge. Now she can shop in the supermarkets of Punta del Este whenever she likes. If she could afford the prices, that is.